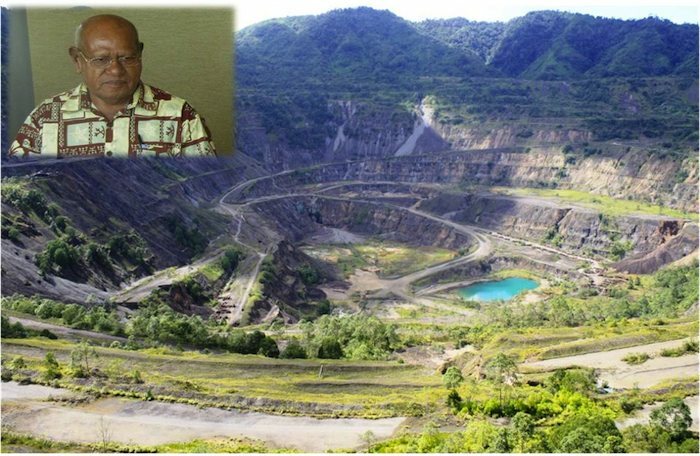 President of the Autonomous Bougainville Government Chief Dr John Momis has announced his support of the new Bougainville Copper Limited (BCL) . The new BCL is step away from the post-colonial and pre-crisis arrangement that had Bougainville at a disadvantage; it is partly owned by the Autonomous Bougainville Government, the National Government, Panguna Landowners and people of Bougainville to develop the defunct Panguna Mine with the landowners for the benefit of Bougainville. President Momis said the ABG as regulator will work together and support BCL explore alternative Panguna development options that will accommodate the interest of project stakeholders to fast track the development of the Panguna resources. “Since BCL was invited to formally re-engage in discussions in Bougainville in 2012, the landowners have consistently stated their preference to work with BCL as the developer,” Momis said. 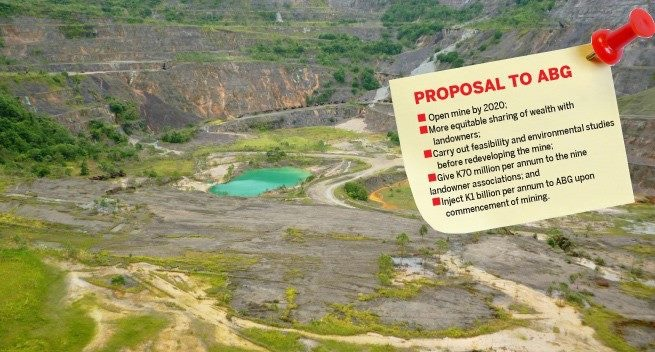 This was recently reaffirmed by the nine (9) Landowner Associations in Buka on 23 February 2017 after the BCL team led by Chairman Rob Burns made presentations to the ABG leaders and the nince landowner association executives and representatives on the new BCL’s development proposal for Panguna. During that visit the Chairman present to the ABG leaders and the landowners a staed development proposal outlining how different the new Panguna approach will be under the new BCL hich now owned by the ABG, the Panguna landowners, people of Bougainville and the National Government. Due to the recent majority of shares transferred by the Rio Tinto to ABG and the National Government, the ABG and the landowners now view BCL as not the devil we know but the devil we won. The ABG and the landowners will now have to take advantage of this scenario and work out a positive strategy for an outcome that will be equitably beneficial for all stakeholders especially the landowners. The ABG and the landowners have also committed to addressing the immediate challenges to progressing the Panguna project and looks forward to working in partnership with BCL through the project development cycle. During discussions held this week between the BCL and the ABG, the two parties reaffirmed their commitment in which a way forward can be agreed for the immediate addressing of stage 0- Removing impediments under the BCL proposed staged development proposal presented during 23 – 24 February visit. In those discussions it was also mentioned for BCL’s consideration to find ways and opportunities in its exploration to project development financing phase to support the ABG’s immediate development agendas as a way of building a long term unwavering development in Panguna. President Grand Chief Dr John Momis has announced a new realignment of a ministry responsible in implementing the Bougainville Peace Agreement. The people of Bougainville people celebrated a major milestone on 30 August 2016 with the 15th anniversary of the signing of the Bougainville Peace Agreement (BPA). The 2001 BPA signing signified peace, reconciliation and unity for all Bougainvilleans and was an emotional moment that people longed to witness after more than ten years of bloodshed. During this 2001 signing, the Bougainville people, the Bougainville government and Papua New Guinea Government agreed on terms and conditions they would follow in order to achieve lasting peace, development and, eventually, referendum. Momis said that the new ministry, which will be responsible for all referendum information, is the Ministry for the implementation of the Bougainville Peace Agreement (BPA) with the new minister Albert Punghau. Albert Punghau has replaced the former Patrick Nisira who resigned to contest the national elections in Papua New Guinea. Despite of the countless efforts by the first government and second government of ARoB to gain a solid commitment from the GoPNG to fast implement key pillars of the BPA- Autonomy, Referendum and Good Governance- ABG still struggles with funding that is becoming an inevitable impediment. Regardless of the many challenges faced by ABG when confronting the national government to commit, Momis is calling for the people of Bougainville to follow the laws of the BPA and leave the final judgment to the peace building organization, United Nations and the international communities to make their own assessment. The PNG Constitution recognizes Bougainville as the only region in Papua New Guinea to have a government that has an autonomous power making the region more powerful than the provincial governments. The PNG Constitution also recognizes Referendum to take place in the region. However, the United Nations has reported that the region was not ready for 2019, June 15, come the vote for Bougainville’s political future. This was revealed by Momis who confirmed that Bougainville was not ready but he is optimistic about the future and urged for every Bougainvillean to be ready. 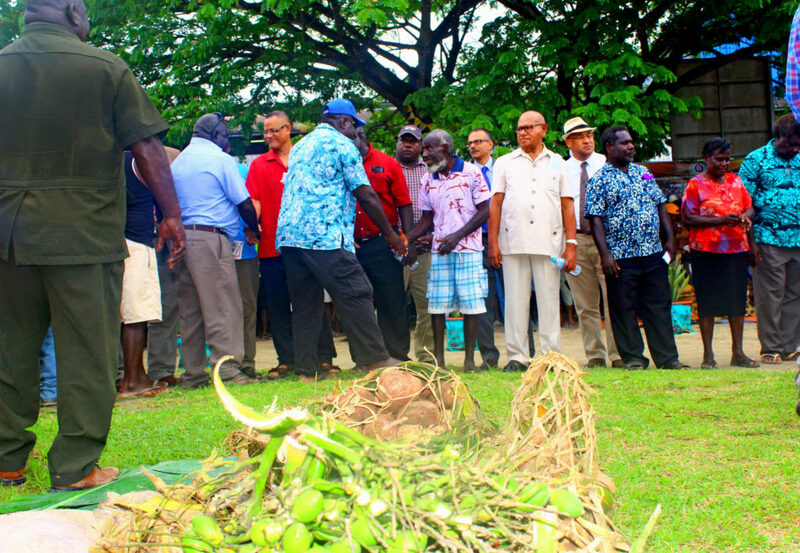 Momis urged for weapons disposal to be effective before the referendum date and as the period becomes very sensitive, the President is calling for everyone to commit their lives and remove the weapons and prove to be working together in peace and unity and moving ahead. ABG is still trying to set up a task force to clean corruption, he added. Momis reiterated that the outcome of the referendum would be a final negotiation between both governments having in mind that peace and stability was essential for a successful outcome. “We the people own the resources, our land however we don’t have the capital. “The waves of globalization are at our shore , I urge everyone to become part of the worldwide community of globalization. 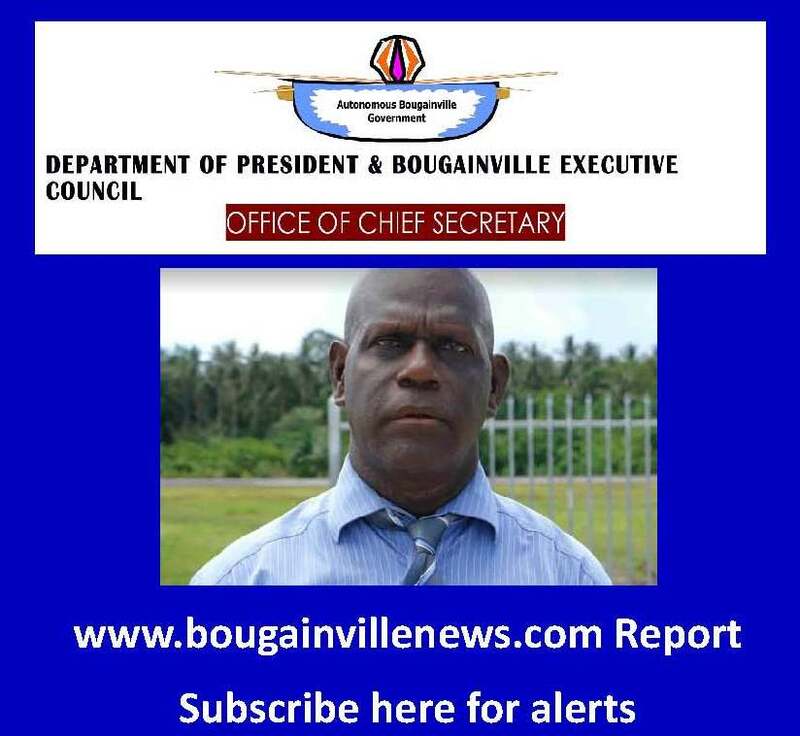 President Grand Chief Dr John Momis welcomes any interested credible foreign investors who wish to play a pivotal role in the development of the Autonomous Region of Bougainville’s economic growth. It is becoming a growing concern for the Autonomous Bougainville Government (ABG) to seek ways to grow its economy thus, becoming a self-reliant region. The ABG is currently working on an ad-hoc basis to run the nation’s affairs without the needed funding required from the Government of Papua New Guinea (GoPNG) as per the Bougainville Peace Agreement (BPA) to restore the region according to the dreams and aspiration of the government. 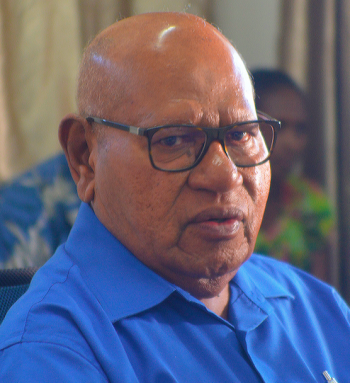 President Momis explained that the government had plans it would like to see prosper through the Economic Ministry which had an important role to implement important activities. However, due to no funding from ABG, the region was dependant on funds from the National Government through the Restoration Development Grants; Fisheries; DSIP and PSIP. Bougainville, functions differently from the GoPNG and Provincial Governments. Many of its functions are governed by the BPA and the National Government has still yet to recognize that. Momis said that becoming a self-reliant region means, that money received from the national government can recover the economy of the region and that it is able to be independent financially, thus become fiscal self reliant however, to date, there is no funding. But if we continue to depend on the GoPNG finance, then we are not fiscal self reliant said Momis. “The waves of globalization are at our shore.” Momis urged for everyone to become part of the worldwide community of globalization. The ABG is now leaning towards promoting investment and working with credible Investors who can bring in capital based on good understanding and agreement that can benefit both the ABG and the people thus, can create capital that is very essential at the moment. Law and order is an impediment to encouraging good investors but we can overcome and find a way to overcome it, Momis added. Another issue that needed the attention of the people was the paying of tax by business operators. Momis also urged for all business houses in the region to pay their tax, as it was an important contribution towards building economy. The Ministry of Economy will now work on creating a new policy that would benefit the people in rural areas therefore helping people to create their own economy.